Thirteen-year-old girls aren't generally known for their oversize bows these days, but JoJo isn't your typical teenager. She just signed a multiplatform deal with Nickelodeon, which includes original programming, social media, live events and music. Calling all Siwanatorz! 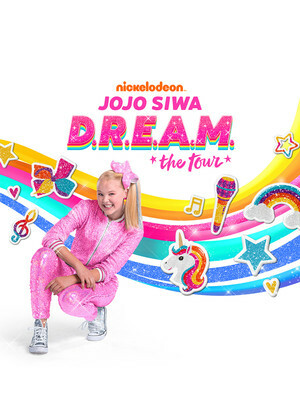 The all-dancing, all-singing, bow-wearing whirlwind that is JoJo Siwa is stepping out from the screen and onto the stage during the 2019 D.R.E.A.M Tour, named after her recent upbeat and optimistic single D.R.E.A.M. The certified platinum pint-sized pop star first caught the nation's attention when she strutted her stuff on popular Lifetime reality show Dance Moms in 2015, simultaneously breaking into the music industry with her smash hit single Boomerang and becoming a Nickelodeon regular with her very own animated series. Known for her bubbly personality, confidence and kindness to her fans, JoJo makes a great role model for the younger generations. Since she first made a name for herself as a dancer, her tour isn't only about singing her brand new material live, but is sure to be jam packed with high energy dance routines and a few light hearted comedy moments that match her effervescent public persona. Expect girl power, glitter and all the colors of the rainbow at this spectacular teen-friendly concert. 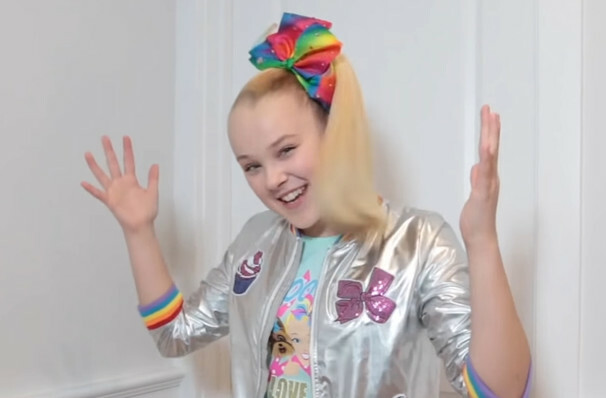 Seen Jojo Siwa? Loved it? Hated it? Sound good to you? Share this page on social media and let your friends know about Jojo Siwa at Bass Concert Hall. Please note: The term Bass Concert Hall and/or Jojo Siwa as well as all associated graphics, logos, and/or other trademarks, tradenames or copyrights are the property of the Bass Concert Hall and/or Jojo Siwa and are used herein for factual descriptive purposes only. We are in no way associated with or authorized by the Bass Concert Hall and/or Jojo Siwa and neither that entity nor any of its affiliates have licensed or endorsed us to sell tickets, goods and or services in conjunction with their events.